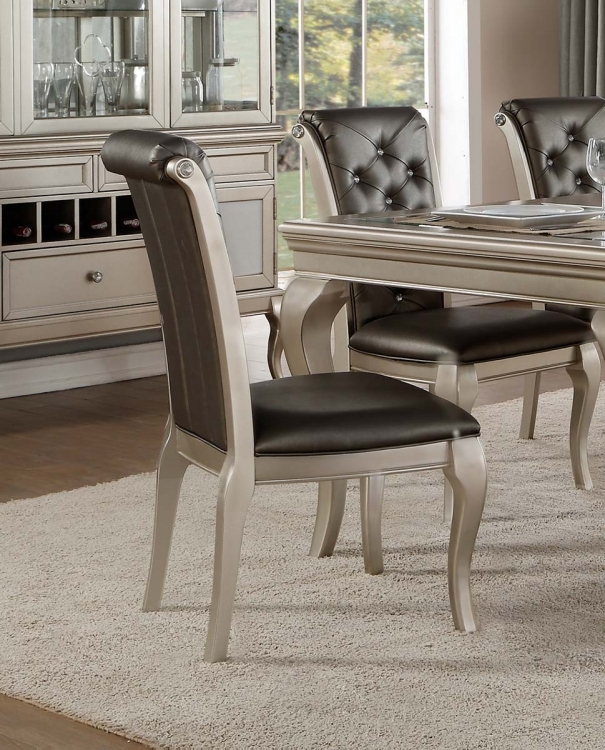 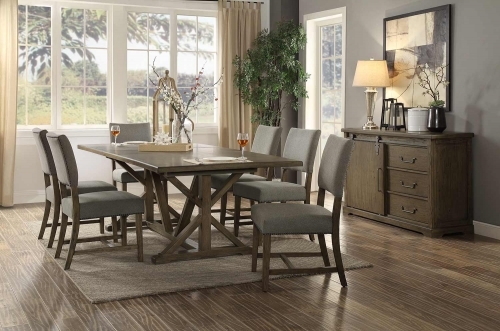 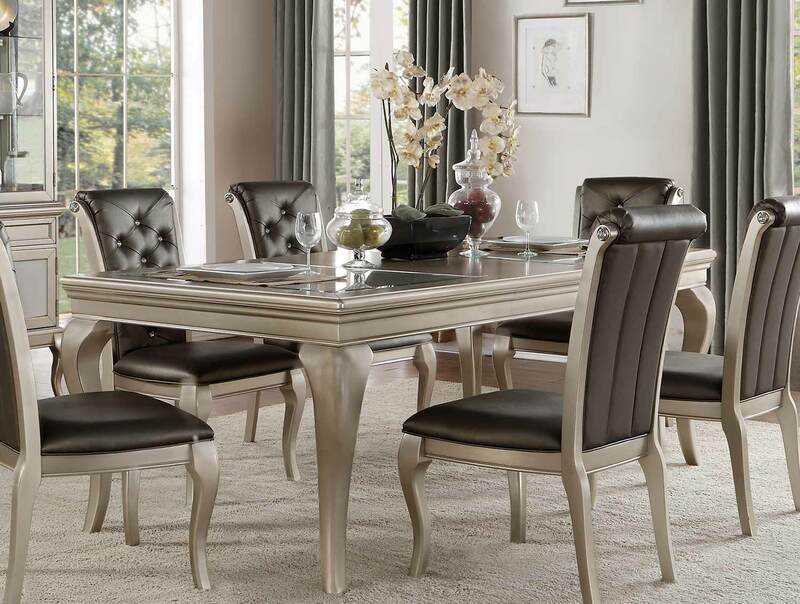 Blending traditional lines with modern glamour is the Crawford Collection by Homelegance. 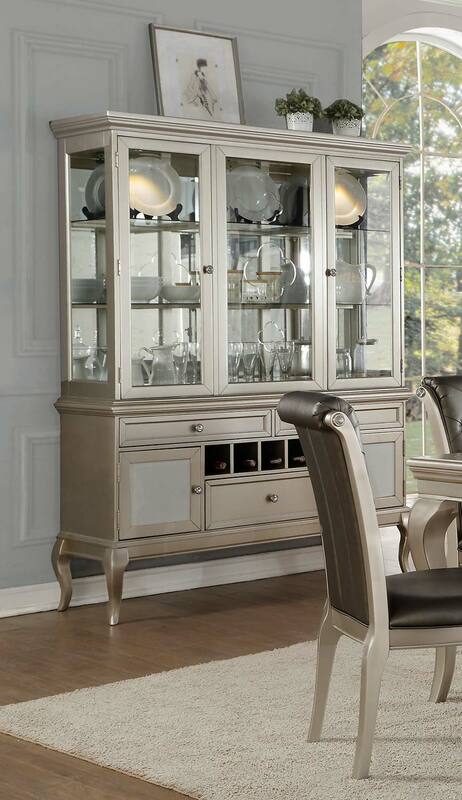 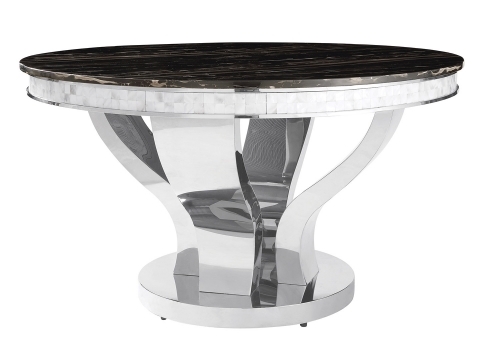 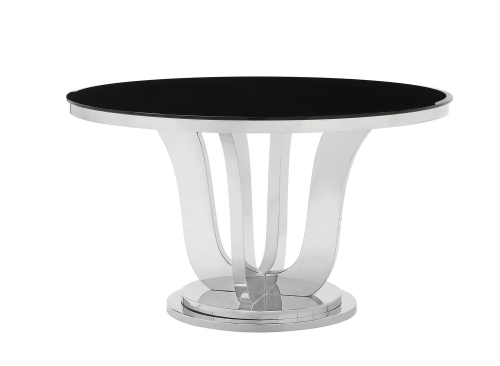 Finished in an eye-catching silver, the collection will be a dramatic addition to your home’s dining room. 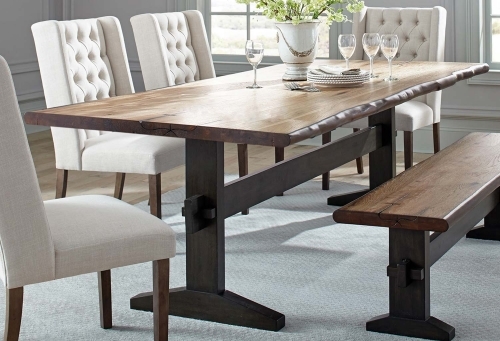 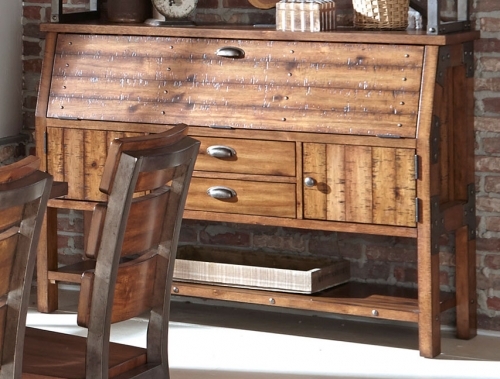 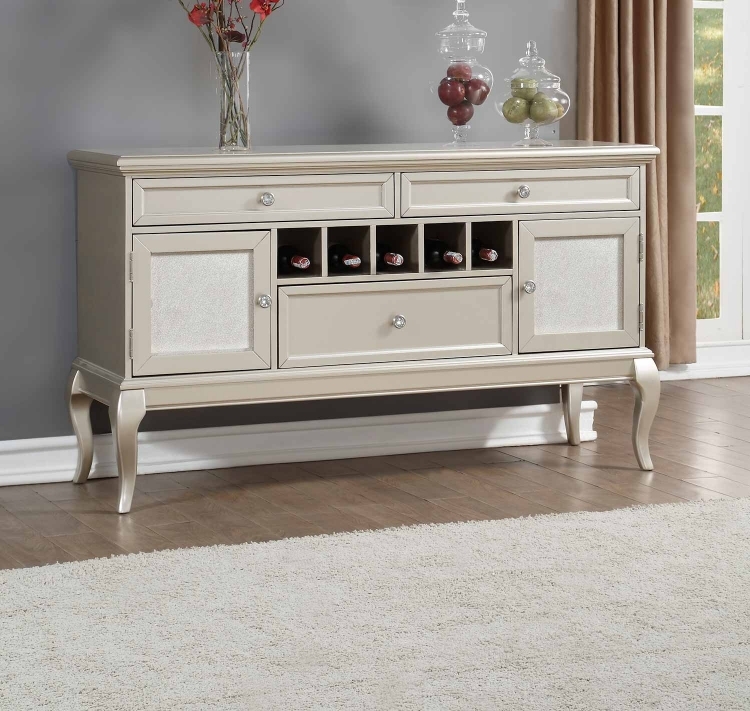 Cabriole legs lend traditional accent to all pieces in the Crawford Collection by Homelegance. 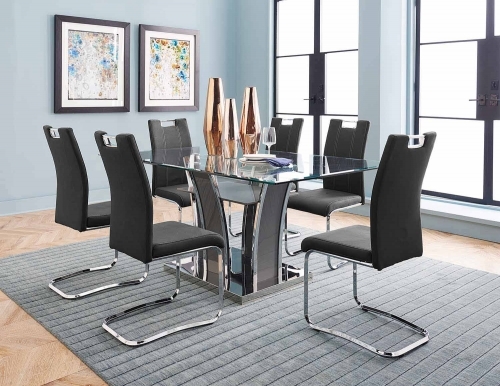 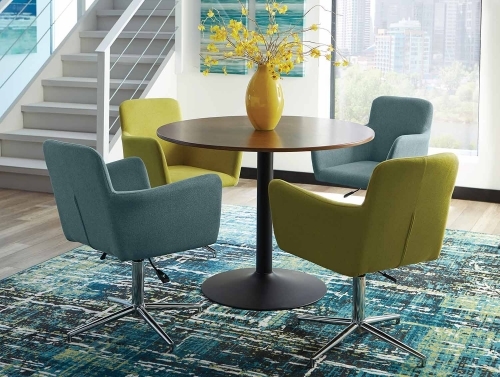 Unique accenting abounds in this collection, the tabletop features inset opaque glass panels and the chairs are enhanced with crystal button tufting. 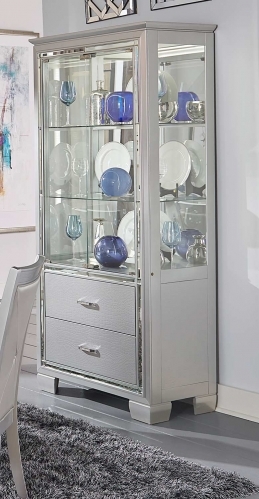 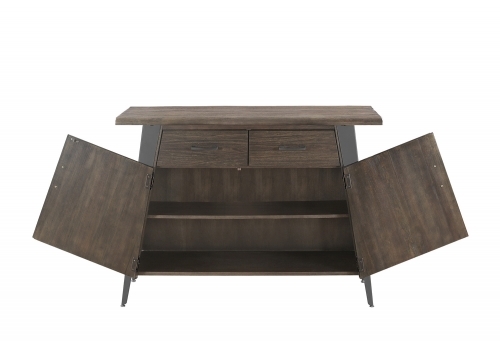 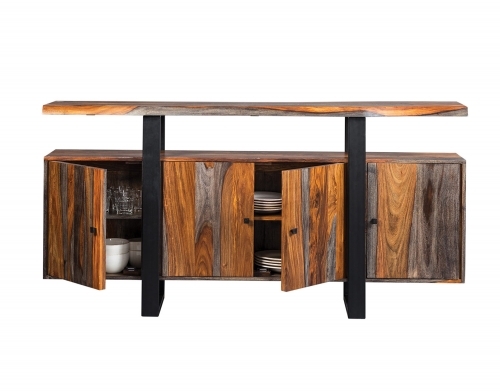 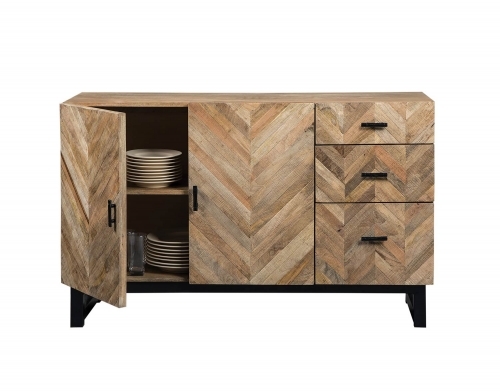 The china lends visual impact as well as functional display and behind drawer and door storage are perfect for your prized table top accessories.